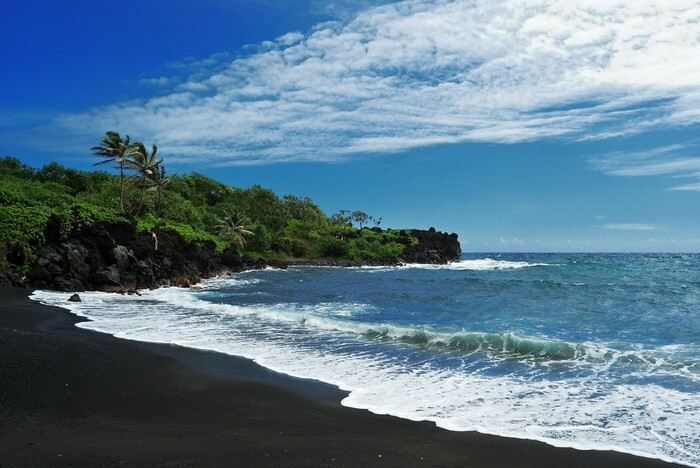 In Hawaii, some beaches can be known for their black sand. 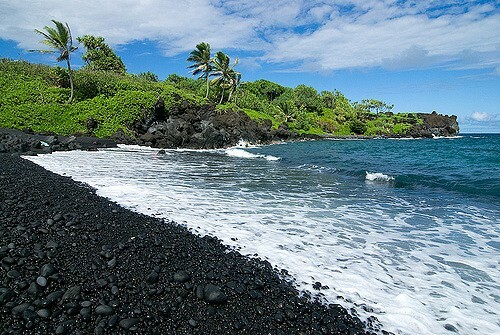 Maui has a black sand beach called Waianapanapa. 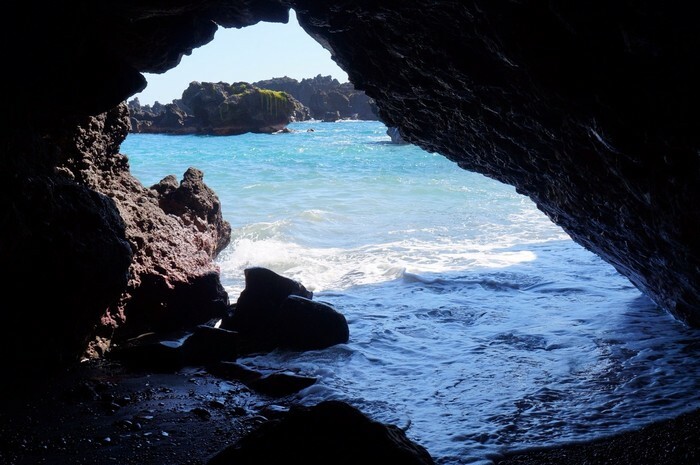 its located on the latitude of 20.7889 and the longitude of -156.004.
the reason the beach is black is for the underwater volcanoes that cause igneous rock to rise to the surface as the waves crash upon them, causing severe erosion. For this reason alone, tourists and natives alike travel through the state park to swim in the incredible waves produced here. 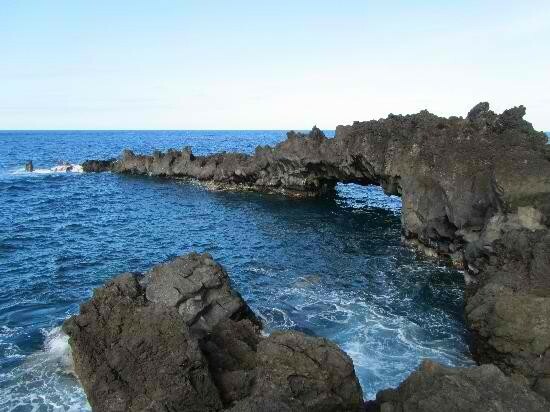 It's also famous for its surf spots during the winter. the waves become so intense it becomes recommended to not swim during that time as to not get hurt, but surfing is totally fair game. Whats the scientific terms for the beach? The Beach is considered passive. "But how can there be a volcano there then!?!? ", i can hear you say. Well, its simple. The entire island is in the center of a plate near the ring of fire, however where it sits there happens to be a hot spot. the hot spots are small cracks in a plate that produce volcanoes. The beach is an emergent coast, not because the sea level is falling, but mostly because the volcanoes cause it to slowly rise from the ocean.